Make 4 interest-free payment of $5.78 fortnightly and receive your order now. 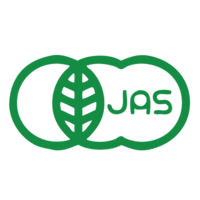 Japanese certified organic and jam packed with green goodness, containing up to 137 times the antioxidants and 10 times the nutritional equivalent of regular green tea. 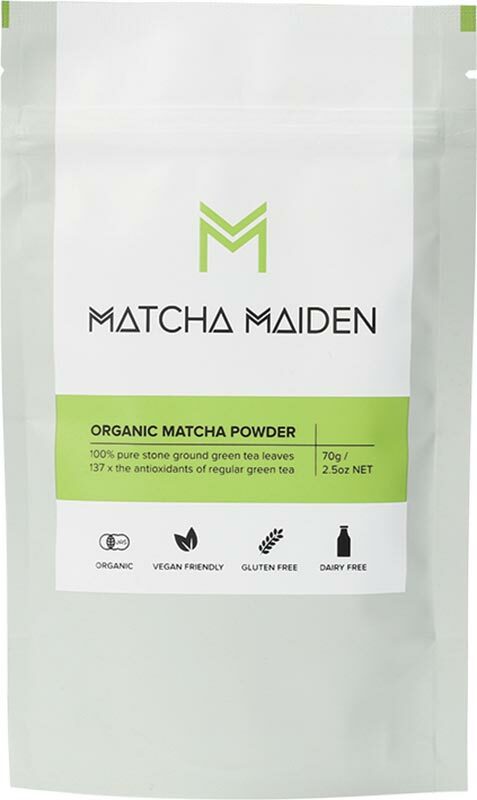 Matcha Maiden is the brainchild of Melbourne-based couple, Nic Davidson and Sarah Holloway. 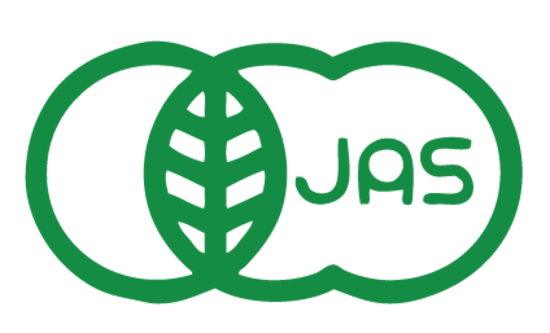 The two formed a matcha made in heaven to bring this vibrant green superfood to the forefront of the health food world. 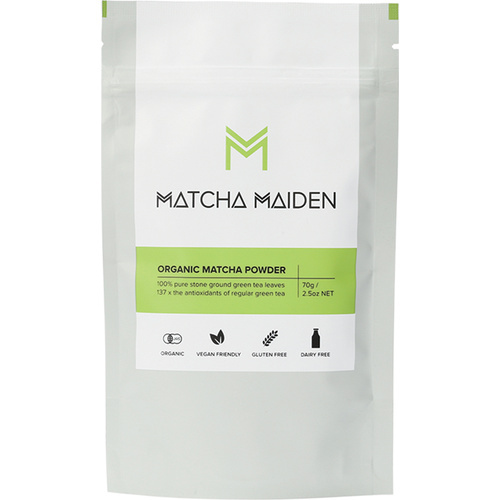 With stockists all over the world, Matcha Maiden is not only about spreading the magic of matcha but also about nurturing a beautiful community of like-minded health nuts.